The Metal band SJK (which stands for Smokejack Kill) was formed in March 1996 in Haskovo City, Bulgaria by the singer Dilian Arnaudov. The band joined the drummer Nikola Nikolov, the bassplayer Peter Petrov and the guitarist Plamen Dimitrov. In June 1996 they got the first success - the Big Award "Rock Hit '96" at the same name festival in Varna with the song "Euthanasia" which shortly thereafter became their first national metal hit. The aggressive sound and specific style of the band definitely reveal their preferences to the harder trends in the modern music. For the next two years of joint work SJK recorded a demo and had live performances in Bulgaria and Greece. 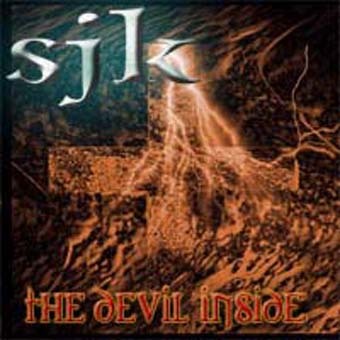 The press general feeling is that SJK is a band with lot of potential - SJK single review in "Metal Hammer" [Italy] August, 1997. In January 1999 the band entered the "PAYNER Studio", Bulgaria to record their debut album named "Euthanasia" produced by Dilian Arnaudov. 10 killing tracks where SJK had given utter freedom to their dark fantasies, aggression, rage and hysteria. A perfect example of killing power psycho metal! "The Devil Inside", "Nightmare", "The Voice Of Earth", "It's Me" are the highlights of this evil album, genuinely displayed on the background of the other tracks which greatly impress with their smashing sound and aggression. In September 1999 the band signed a publishing contract with the USA based, international publishing company "Gold Leaf Productions, Inc." USA. On 10th of May 2000 SJK destroyed Haskovo in live at the "Zaria" hall. The show was recorded and named "The Devil Alive". On 16th of July 2000 SJK opened "Metal 2000" festival at the "Academic" stadium, Sofia as a support band of Motorhead! The band was reviewed in "Chaos" metal magazine [Bulgaria] July, 2000 and "Channel 1" of Bulgarian National TV recorded and released the show. In December 2000 "The Devil Inside" became "December Metal Hit '2000" of the Metal Radio Show "Saturday '01" of Bulgarian National Radio. 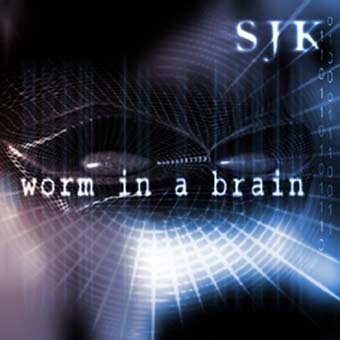 In September 2001 the band entered "Flies in the Head" studio to record the second album named "Worm In A Brain". In December they finished the work and the band started LOOKING FOR A LABEL! 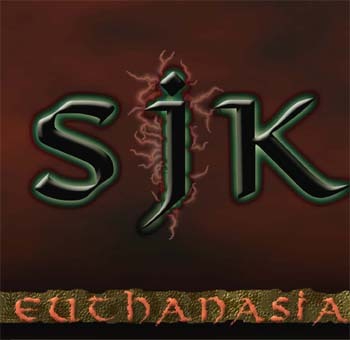 In December 2001 "Akva Studio" shot the first SJK video "It's Me" from "Euthanasia" album. In August 2002 Dilian took part in a project named Rosebourg to record 5 songs demo in their hometown Kazanlak. In March 2003 they shot the first video "Another World". In December 2003 SJK and Rosebourg were included in the new 2003 "Metal x-Mass" compilation CD by "Rhythm" magazine [Bulgaria] as some of the best 17 youngest and most promising Bulgarian acts (according to the selection done by the magazine itself and local label "Harbour Island Records"). In the beginning of 2004 SJK thoroughly changed its line up. The band joined the guitarist Stefan Stefanov (ex-Baddy Band) and the bass player Plamen Solakov (ex-Parabola). 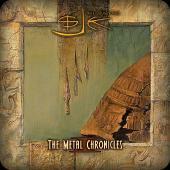 In February 2004 SJK started recording "The Metal Chronicles Part I" album at the new and renovated "Max Level Studio". SJK took part in the first Rocker Fair in Haskovo, held on 22nd of May 2004 at the "Dimiter Kanev" stadium and then in the annual "Extreme Force" festival held on October 9th 2004 at the Youth Centre in Haskovo. The great news came soon after that - SJK was an opening act for W.A.S.P. show at "Arena Muzika - Winter 2004" festival that took place on November 30th in "Hristo Botev" hall - Sofia, Bulgaria. In June 2005 SJK had a live performance at "Arena Muzika 2005" festival along with the metal titans Megadeth. In November 2005 the band line up was changed again. The new drummer Ivan Petrov joined SJK and had his first live performance at "Fans" club on December 3th 2005. In November 2006 the band decided to replace Plamen Solakov on bass guitar with the new bass player Jordan Slavov.